Call in the fire engines and police cars! For whatever reason — a delayed nap, maybe, or too-tart applesauce — Sweet Little Sammy has turned into Big Bad Baby. Hide the milk and cookie trucks! 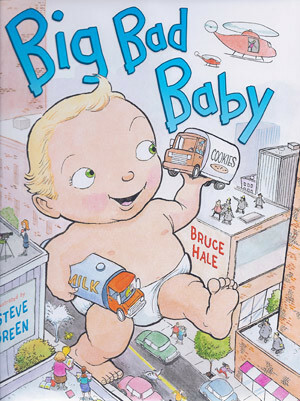 Is no one safe from Big Bad Baby? A hybrid of Honey, I Blew Up the Kid and The Incredible Hulk, starring an almost naked toddler whose bad mood transforms him from kewpie doll to holy terror. A surplus of maniacal jokes and sound cues ought to win the hearts of older siblings who know just how bad babies can be.